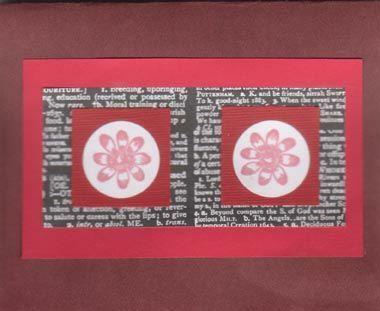 Stamped flowers and patterned scrapbook paper make it easy to put together your own Valentine. On February 14, surprise the one you love with a handmade Valentine card. Whether you're sending a Valentine to your spouse or treating a special friend to a one-of-a-kind card, LoveToKnow Crafts is here to offer the ideas and inspiration you need to begin your project. You may also want to pick up a box of blank envelopes during your shopping trip. While it is possible to make envelopes for your handmade greeting cards, purchasing pre-made envelopes is a convienent way to free up more time for the design aspect of your card making project. 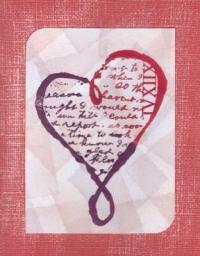 Stamp a heart on a scrap of cardstock for a simple Valentine card. For a creative touch, consider printing the quote of your choice in a unique Valentine font. DaFont has a large selection of free fonts that are perfect for any Valentine paper crafting project. Love Bling Card: Self-adhesive jeweles perk up this blinged-out Valentine. Bee Buddies: Cute bees add a touch of whimsy to any homemade Valentine. With Love Greeting Card: Ribbons, red, and gold make this card stand out. Heartfelt Valentine: Sclupey buttons gives this heart card a modern twist.